Experience the battlefield from an entirely new perspective at night! Guided hay wagons take visitors back in time as they stop along the trail where reenactors portray 18th century characters. But beware! Ghost and goblins are lurking in the woods and are too scary for those children under the age of 4. Admission includes entry to the Visitor Center and Museum. 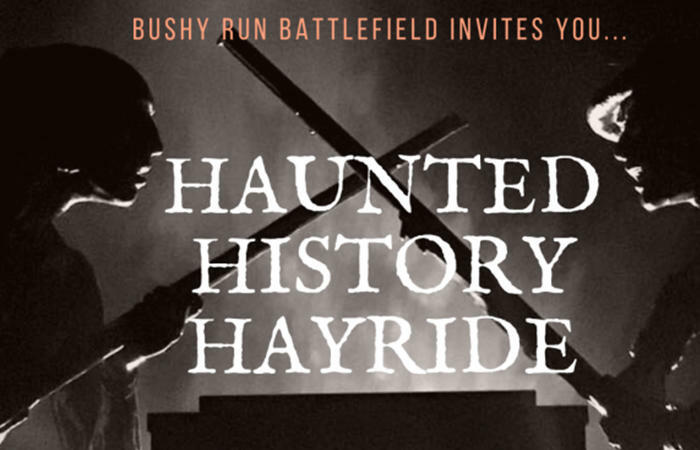 There will be concessions available as well as ghost stories in the Stone Room. Remember to bring a flashlight to help navigate your way in the dark! *Reservations are required for this event. Reservations will only be taken after 9 AM on Wednesday October 2nd and are on a first come first serve basis. Any messages left by phone or email will NOT be accepted. You MUST speak with someone directly (via phone or in person) to reserve your tickets. You have 5 business days for us to receive your payment, or your reservation will be voided. If you need to cancel your reservation, you may do so (and receive a refund) up to 3 days in advance. Any cancellations less than 3 days before the event will not be refunded unless the event is cancelled due to weather. The rain date for this event is scheduled for October 26, 2019. 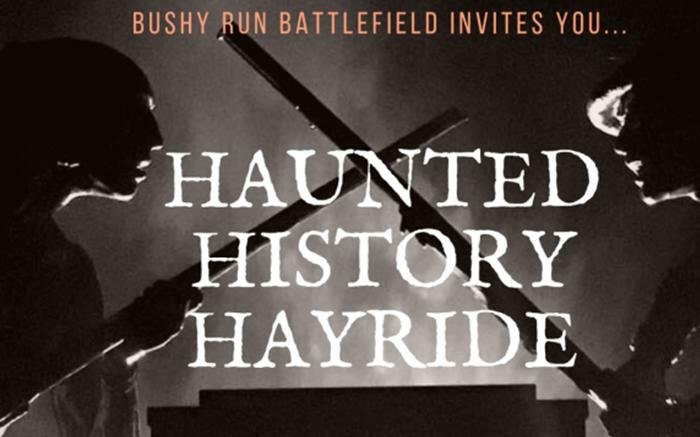 Contact Bushy Run Battlefield at 724-527-5584 starting at 9 AM on October 2nd or stop by in person for tickets!